Oh the life of a Southern Lady. I can tell you it is not easy. 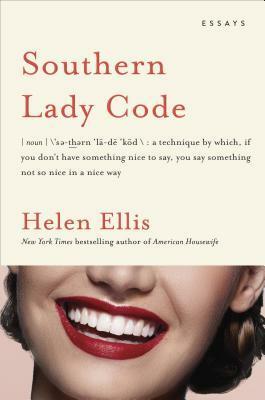 And this funny book of short essays gives those uninitiated in the ways of being a Southern Lady a good look at how it is done. Ms. Ellis holds back nothing on the topics we all must deal with. How to be a Southern Lady in a time and place where people just don’t know about such things as the thank-you note rules, ghostly happenings, shooting guns and my favorite, monogramming! We have a saying in our family. If it sits still long enough Momma will monogram it. There are rules. And I for one am happy that the author is fighting the good fight among the Yankees. Keep up the good work and thanks for the laughs and memories! There was not a single story I didn’t identify with! This sounds great, I’m glad to hear you liked it so much! I was curious about it. I was a bit unsure, but I laughed a lot! !